We get a lot of people telling us of trouble they have had (Sarah being one) with so called sensitive skin cleansers which seemed to have quite a bit of suds and left their skin feeling tight & dry. We all know that oily skin is less prone to premature aging than dry skin, so why would you strip your skin of precious oils? You don’t need that squeaky clean feeling as that usually makes people feel the need to use too many products to re-moisturise which ends up loading up your skin and not letting it breathe. Simplify your beauty regime and have a look in your fridge, cupboard & garden for simply skin care remedies. 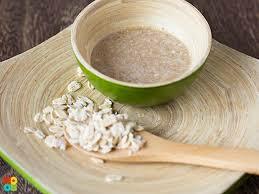 Read on for some easy DIY facial cleansers and masks that will have your skin glowing! ~ Keep a piece of aloe vera leaf in your fridge for a very simple face cleanser or leave it on for a refreshing face mask. Slice the leaf length ways down the center and just rub it on your face. You will be surprised at how long a leaf will last in the fridge. ~ Honey & yogurt as a cleanser or a mask. 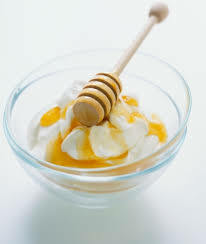 Mix a good tablespoon of yogurt (organic is best, either dairy or coconut yogurt) with a tsp of honey (raw is best). Slather it on and leave it for 15 minutes as a mask or massage it into your skin and rinse it off well with warm water as a face cleanser. Very gentle and soothing. Honey is very healing, antibacterial and a natural moisturiser, and yogurt contains lactic acid which is well known to soften the skin and stimulate collagen production. If you have oily skin, adding a tiny bit of lemon juice will help to remove the oil. ~ Ground oats or oat meal with a bit of water or rose water massaged into the skin makes a lovely scrub, add a bit of honey and or yogurt if you want (and it doesn’t matter if you eat it!) It absorbs impurities and relieves dry skin. Suitable for sensitive skin. ~ Honey and salt face scrub/cleanser. Mix 1 tablespoon of honey and 1/2 tablespoon of fine sea salt (we like to use fine himalayan salt) together and gently scrub your face with in in a circular motion. Rinse off with warm water and pat dry. Honey keeps your skin hydrated as well as other points that we pointed out above. Sea salt is an excellent exfoliating treatment and a great detoxifier as it absorbs the toxins from your skin. Brown sugar also works well and this recipe also makes a great body scrub. Cleansing your skin is a necessary part of your daily beauty health routine. It is important to slough the dead skin cells off your skin to get rid of toxins and free radical build up which is a major cause of aging skin. The increased circulation of blood flow allows your skin to absorb the nutrients in the moisturiser or face oil you use. If you don’t cleanse your face before bed, you are missing out on a good opportunity to wake up with smoother, softer and clearer skin. 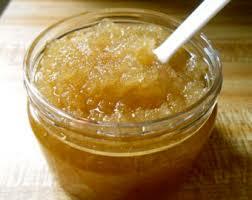 Our Raw honey and brown sugar scrub is very popular and leaves your skin feeling amazing!